Flat wood drilling bits from DeWalt's professional Extreme Range. These quality bits have heat absorbtion shafts which allow them to remain sharp for longer. 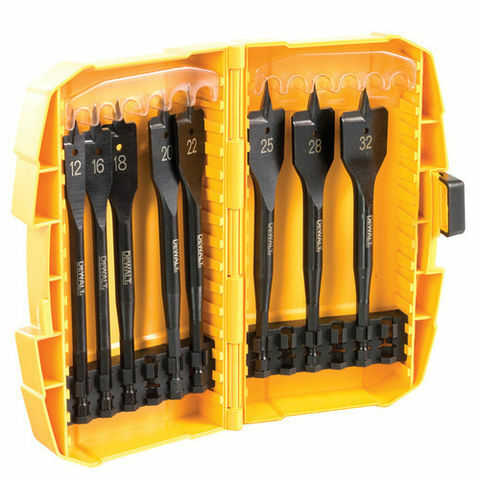 They are supplied in a DeWalt medium TOUGH CASE, which has room to spare for additional bits.